This is a BIG surprise! DNA analysis of a baby girl who died at the end of the last ice age shows she belonged to a previously unknown ancient group of Native Americans: the ancient Beringians. A baby girl who lived and died in what is now Alaska at the end of the last ice age belonged to a previously unknown group of ancient Native Americans, according to DNA recovered from her bones. The newly-discovered group, named “ancient Beringians”, appears to have split off from the founding population of Native Americans about 20,000 years ago. 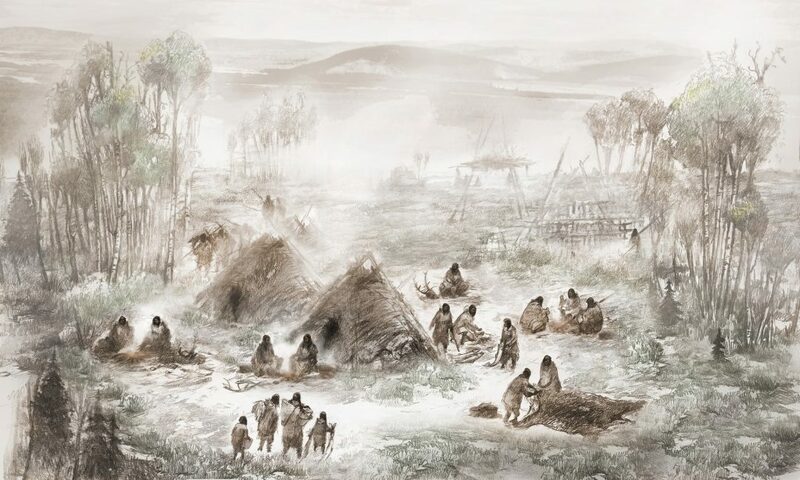 While the ancestors of other Native Americans pushed south into the continent as the ice caps thawed, the ancient Beringians remained in the north until they eventually died out. “This is a new population of Native Americans,” said Eske Willerslev, an evolutionary geneticist at the University of Copenhagen, whose team recovered the girl’s DNA from a dense part of her skull known as the petrous bone. 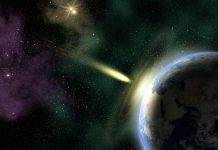 Details of the work are published in Nature Magazine. Working with scientists at the University of Alaska and elsewhere, Willerslev compared the genetic makeup of the baby, named Xach’itee’aanenh t’eede gaay or “sunrise child-girl” by the local community, with genomes from other ancient and modern people. They found that nearly half of the girl’s DNA came from the ancient north Eurasians who lived in what is now Siberia. The rest of her genetic makeup was a roughly even mix of DNA now carried by the northern and southern Native Americans. Using evolutionary models, the researchers showed that the ancestors of the first Native Americans started to emerge as a distinct population about 35,000 years ago, probably in north-east Asia. About 25,000 years ago, this group mixed and bred with ancient north Eurasians in the region, the descendants of whom went on to become the first Native Americans to settle the New World. During the last ice age, so much water was locked up in the ice caps that a land bridge reached from Asia to North America across what is now the Bering Strait. Willerslev believes the ancestors of Native Americans travelled to the continent in a single wave of migration more than 20,000 years ago. Those who settled in the north became the isolated ancient Beringians, he said, while those who moved south, around or through the ice sheets, split into the north and south Native Americans about 15,700 years ago. The families who lived at the ancient camp may have spent months there, Potter said. 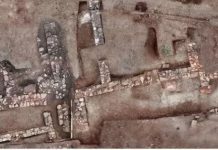 Excavations at the site, known as Upward Sun River, have revealed at least three tent structures that would have provided shelter. The two babies were found in a burial pit beneath a hearth where families cooked salmon caught in the local river. The cremated remains of a third child, who died at the age of three, were found on top of the hearth at the abandoned camp. Connie Mulligan, an anthropologist at the University of Florida, said the findings pointed to a single migration of people from Asia to the New World, but said other questions remained. “How did people move so quickly to the southernmost point of South America and settle two continents that span a huge climatic and geographic range?” she said. David Reich, a geneticist at Harvard University, said the work boosted the case for a single migration into Alaska, but did not rule out alternatives involving multiple waves of migration. He added that he was unconvinced that the ancient Beringian group split from the ancestors of other Native Americans 20,000 years ago, because even tiny errors in scientists’ data can lead to radically different split times for evolutionary lineages. 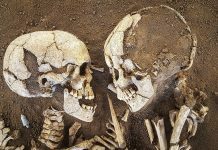 “While the 19,000-21,000 year date would have important implications if true and may very well be right, I am not convinced that there is compelling evidence that the initial split date is that old,” he said.